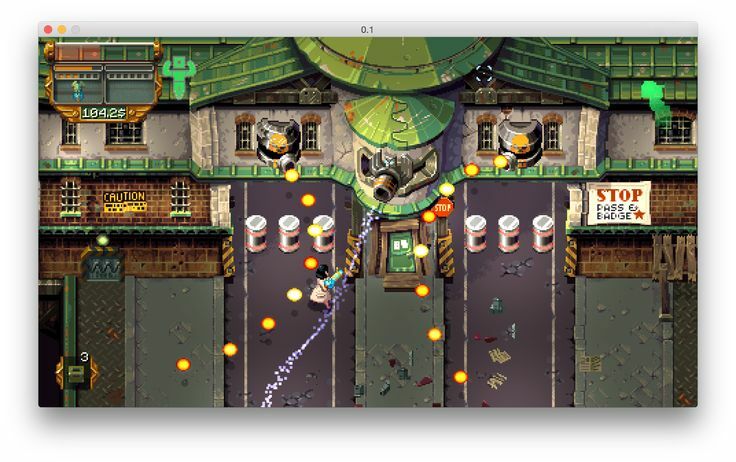 Yes, just played it on my Mac mini. Well done Daniel, it runs really smooth. @all: Buy this game if you like Chaos Engine like games, it's really great! I just purchased it and gave it a quick play. Fun game and very well done. :) Very cool! Just bought this will be fun . Just bought and tried tower57. Not my kind of game but it looks great. Thank you, Daniel! Where can I find it, and where to install it once downloaded? ixemul library 57.00 is part of the MorphOs SDK. Same here when i launch "Launch.Exe" but click on Tower57_MOS and sound working fine..
> where to install it once downloaded? > ixemul library 57.00 is part of the MorphOs SDK. How to player with Joypad or 2 players ??? i trying but doesnt work ? The gameplay defaults to the controller you have been using in the menu - if you have a controller plugged in but choose “New Game” or “Continue” in the main menu using keyboard, you won’t be able to play the game using the gamepad. In order to do so, please quit to the main menu and load the game/start new game using the joypad to select an option. Yeeeaaahh.. Those instructions for joystick control dont work for me. My joystick is recognized by Posiedon but in the game, nothing. I have already bought "Tower 57" and run on my PowerBookG4 with MorphOS 3.9. Game looks well, works well and fast on window and fullscreen 1440x960 24-bit and 16-bit. However in 24-bit mode I see strange artifacts - blinking short horizontal lines. In 16-bit mode there are no artifacts and game looks great. Does someone know what is reason of the problem? In MorphOS Monitor Preferencs I have standard "Color LCD" and on test screen 1440x960 24-bit the artifacts are not visible. On my Ambient (1440x960 24-bit) these artifacts also don't occur. I made several screenshot but the artifacts are not visible on screenshots. :) Everything looks very good on screeshots. However on screen I see these short horizontal blinking lines. I notices something interesting. If I run "Tower 57" on 24-bit screen and switch to Ambient screen, these lines are visible on Ambient too. If I close game, Ambient looks good again. Is it a hardware problem of my PowerBookG4? Why the problem occurs only if I launch "Tower 57"? That sounds like some kind of hw/driver issue. Do you know if the the issue occurs on MorphOS 3.10? I have just updated MorphOS to 3.10 (PowerBookG4/1,67) and... the artifacts gone! Tower57 works on 1440x960 24-bit works great. Hey, just bought the game, unzipped, clicked launch nothing happens. Clicking the 2 Tower 57 executables on the sub folder doesn't do anything as well. Snoopium reports that Background CLI [shellppc.prefs] and updater_mos [IXPPCSTACK] both fail (from the executable of the sub folders). On the main launcher additionally C:IconX window/stack/usershell/wait/delay fails. This is on MorphOS 3.9. Any ideas?